JobStreet.com’s latest Job Promotions Report reveal that while 9 in 10 Malaysian employees are offered added responsibilities and increased job scopes, only 43% are formally promoted and just 6 in 10 receive job upgrades. promotion benefits – the top three being additional allowance and bonuses as well as increased days off. 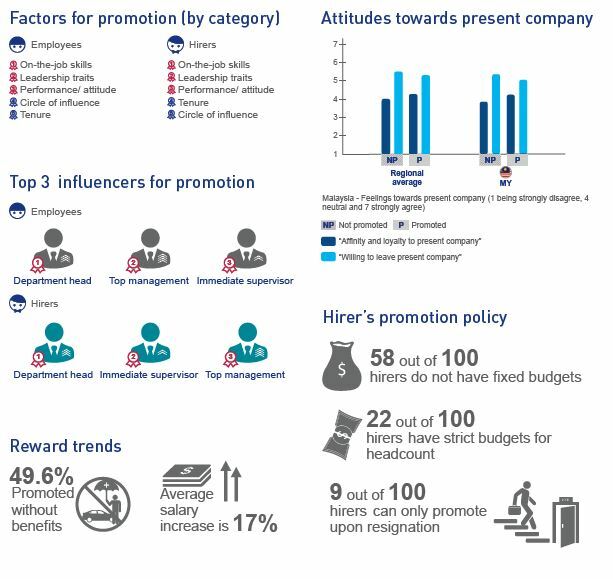 Companies are already looking to non-monetary benefits to address the limited budgets for promotions, seemingly adopting a ‘doing more with less’ theme, to optimise costs wherever possible. Malaysians rated fairness of promotion poorly and promotion outcome unsatisfactory, as local firms take 35 months to offer promotions, longer than the region’s 33 months period. 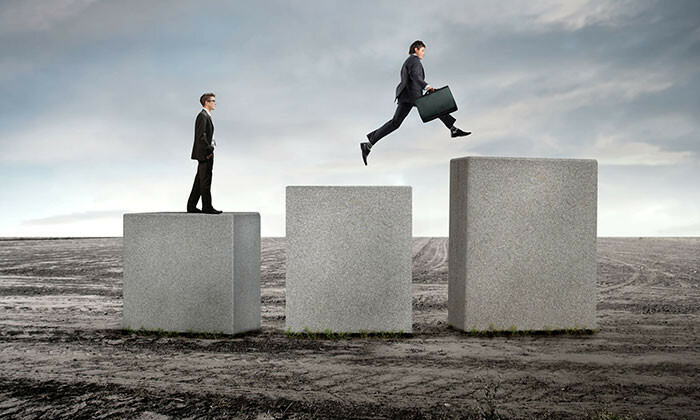 Candidates who are not promoted showed a stronger willingness to leave their company. Those promoted record a neutral sentiment on affinity and loyalty to their company, but are willing to leave for better opportunities. On the other hand,the report revealed a mismatch between Singapore employers’ and employees’ perceptions on job promotions. While Singaporean employees vote for the human quotient factor – the circle of influence as the number one factor for promotion followed by leadership traits then on-the-job skills, hirers believe on-the-job skills are the most important, and place circle of influence at the bottom. This mismatch could be due to Singapore’s low formal promotion percentage (41%) coupled with the lowest in the region fairness outcome and process ratings. It takes 3.6 years for an employee to be promoted and supervisor and first line managers take up to four years (4.4) to be promoted – both the longest wait time in this region. Hong Kong, like Singapore, is a bustling financial and trading hub of the region. 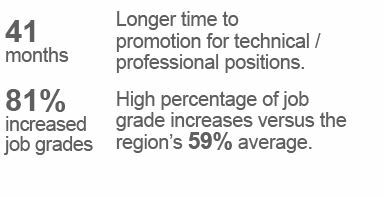 Similar to Malaysia, 44% of employees are formally promoted, compared to the 81% increased job upgrades. There is a lack of loyal sentiment and strong indication to leave the company from both the candidates who are promoted and not promoted. In Hong Kong, it takes 35 months for an employee to be promoted and a longer period of 41 months for promotion to professional positions. The average salary raise is 16% while close to 6 in 10 (58.5%) are promoted without added benefits. At Recruitment Interactive 2013 this morning, 3M, Four Seasons, MOM and Shell weighed in on the foreign versus local talent debate..